After last year's cold fly-in, it was nice to see the sun back in Sun 'N Fun (SNF). I always come to SNF to escape the lingering elements of winter in the north. Last year, Omaha consistently had daily highs above what we experienced in Lakeland. This year however, I got sunburnt on the right side of my neck the first day. I must have missed it with the sun screen. I was glad to see the return of Margaritaville. Although, if I was Jimmy Buffet, I might reconsider SNF franchise rights based on the cuisine. I always consider beginning that diet I never start, right there in the confines of SNF. I usually breakdown around 2pm and pay my $8.00 or so for a crappy meal. I'm sure after a few margaritas it all tastes fine. I think the trick is to start at the east end of the building (where the drinks are served) and work your way west. 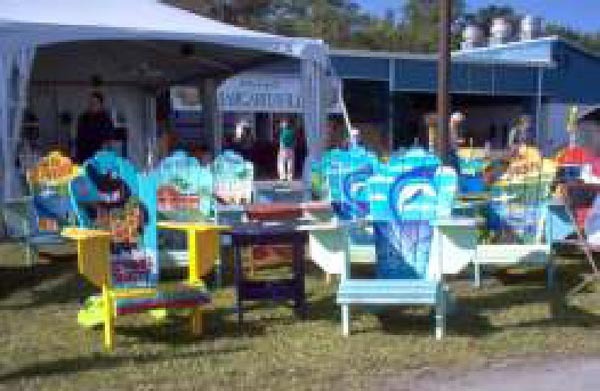 I would buy one of the sun chairs they display each year for my honey back home, if I could only fit it in the RV6 I came in. That never happens either. Anyway, I'm sure one in my back yard up north, doesn't look nearly as good alone, as the dozen or so they have sitting there together. As I went on the search for something to write about for the Q-Talk, I noticed the "hot spots" in the vendor buildings are still the companies selling GPS units. I also noticed the EFIS products were a "hot item" as well. You did well if you got close enough to hear the sales rep describe their product to someone else. Out on the flight line there were two notable home built aircraft. The "just out of the test period" Raptor turboprop. A one of a kind aircraft whose data plate read: Empty weight 2350 lb., Gross weight 4700 lb. and H.P. 750! It was made from carbon fiber and all of us composite guys were wondering what resin he used so he could keep it in the color black with out it melting away in the sun. I never found out the answer to that question. A jet powered Cozy showed up. I could have sworn it was featured in one of my aviation rags. Sorry, but I couldn't find the article to reference here. Fellow QBA member Jerry Marstall, who volunteers to park aircraft at SNF, spoke to the pilot upon his arrival and reports that he cannot take full advantage of the power of the jet as the aircraft develops flutter and he has to back off. (I think I have the same issue with my VW, but it could be pilot induced). Then there was the V12 Merlin engine mounted to a trailer and tied to a single tree near the engine forum tents. Its owner was allowed to start and run it every day after the air show. And it did draw a crowd!! After the first attempt to start it, I found myself moving from my seemingly great viewing position in front, to somewhere off to the right. I didn't trust the rope or the tree. It was truly an awesome sight. Of more interest to our group might be the Dragonfly and KR2 which flew in under Corvair power. 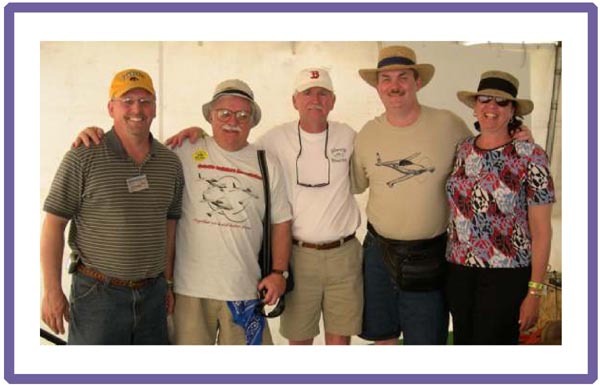 Chuck Ufkes had donated his Dragonfly to the SNF museum several years ago, but when nothing became of it, he found a way to acquire it back. 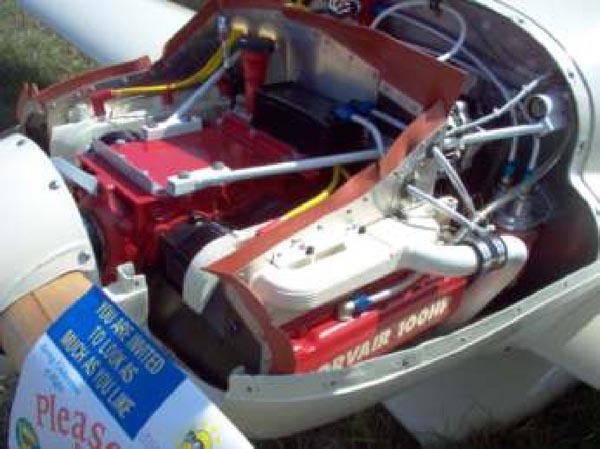 While he has only 10 hours on this engine and airframe package, he is concerned about the lack of performance to date. He believes he is using 500 feet more runway to take off and his cruise is 150 mph, about the same as his previous 2300 Type 1 VW. He is flying at 29" of manifold pressure and 3300 rpm. 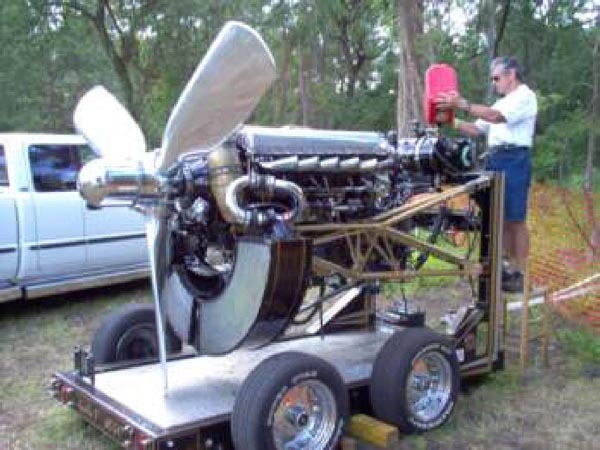 However, the jury is still out on this configuration, as he admits to not knowing what size prop he has on the plane. He has had to lop off about two inches in diameter to increase the rpm. He says the aircraft now weighs about 100 pounds more than with the VW. William Clapp was more enthusiastic about his Corvair installation in one of the nicer KR2S airplanes your editor has seen. He claims a climb rate of 2500 fpm and a "power cruise" of 180 mph and a normal cruise of 165 mph at 25" of manifold pressure at 3500 rpm. He is throwing a Prince "P" tip 52"x 50" pitch prop which he believes he'll have to change as he can over rev the engine to 3900 rpm peak. In the War bird area I had my first chance to see Glacier Girl, a restored P-38 recovered from the Greenland ice. It sure sounded nice during her daily flight demonstrations. At the Quickie forum we had lively discussion on engines, first flights, And cross wind landings, along with other topics. Eighteen people attended and it was great to see my old friends and meet some new ones. 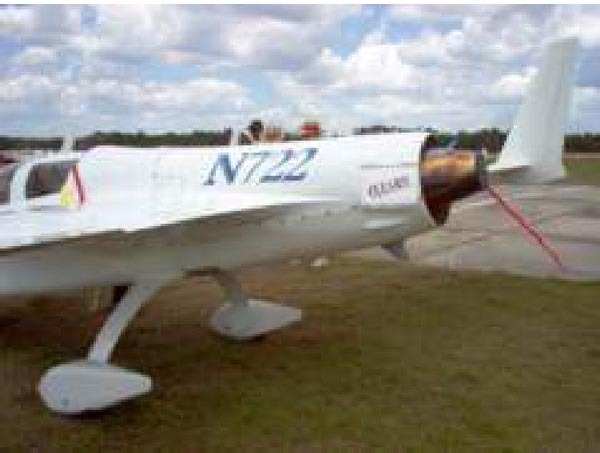 Roy Shannon of Edgewater, FL was the only one in attendance to fly his Q1 to the show. While frolicking in the sun, I started to daydream. What if someone were to reintroduce one of the Quickie models at SNF. What would it look like? Not the design itself, but the kit you would buy. Would we still have to hot wire our wing cores? Would we still have to crawl inside the tail cone to bond a bulkhead? Well, the closest I came to answering some of those questions was at the Esqual display. The dealer is the largest Jabiru dealer in the US, and the engine options are both the 2200 and the 3300 Jabiru. They report a cruise of 115 and 120 knots, respectfully, behind these engines. Both have a landing speed of 45 mph. But this isn't the end of the story. This same dealer will be introducing an American made kit at Oshkosh called the Lightning. This will not be an entrant into the Light Sport category. I was told it will be too fast! 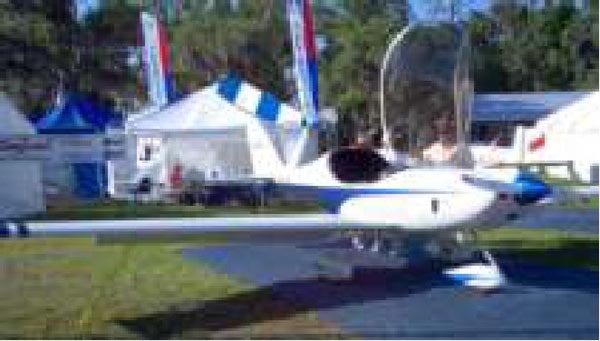 They have formed a company that goes by the name of Arion Aircraft, LLC and they have a web site at www.arionaircraft.com. This aircraft will have similar lines but will have been cleaned up to achieve a 175 mph cruise. 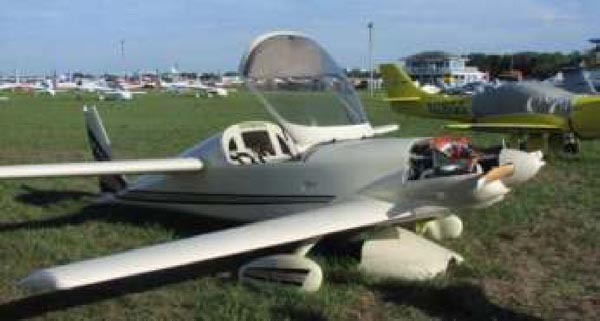 The introductory price is advertised as $25,900 less engine, prop, interior, and brakes. Sounds like you can get more for less at this price. Be sure to seek them out at Oshkosh. You can order a printed copy of Q-talk #110 by using the Q-talk Back Issue Order Page.